A nice article on the development of stealth fighters by China. Of course no mention of technologies that have advanced in China to accomplish such tasks. I have a strong feeling that technologies taken to China by US MNC's have contributed to the advancement of China's weapons technology. Oh well, well done for China anyway ... they are a great ally. 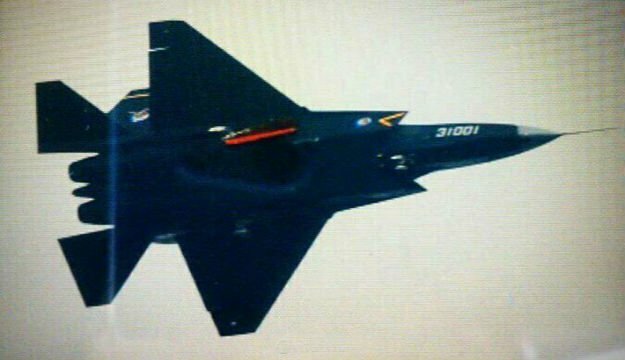 BEIJING (AP) — China has test flown a second model of a prototype stealth fighter, aviation experts said Thursday, in a sign of its aircraft industry's growing sophistication. Photos posted to the Internet Thursday showed the radar-avoiding aircraft airborne near the northeastern city of Shenyang with its landing gear still down. Two Chinese-made J-11 fighters accompanied it on the flight, which Chinese military enthusiast websites said took place Wednesday and lasted about 10 minutes. Stealth technology is like any technology, it's a lot easier to do the second time. You know the idea is to shape the aircraft so that radar is reflected up or down rather than sideways back to the radar transceiver. Now all you need is good engineers and a big budget, both of which are readily available in China. Ehhh, I'd treat any "stealth" that comes out of China as suspect. Also, we know they have received certain "stealth" technology from Russia.